What's the Weirdest Thing On Your DVR/TiVo? 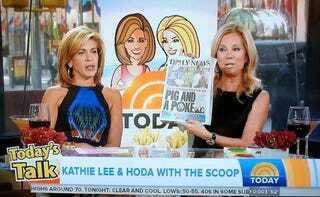 I'll get this out of the way first: I record the fourth hour of the Today Show with Hoda and Kathie Lee. Every day. Something about their weird energy, drunkenness, and crazy passive-aggressive snipes keeps me entertained. Post your crazy recorded shows in the replies!